Born in 1938, Marcello Gandini is one of the world’s best car designers, responsible for penning some of the most eye-catching, dramatic and important cars of the 20th century. Here, we take a look at some of his greatest hits. Prepare to be left slack-jawed by the man’s genius. 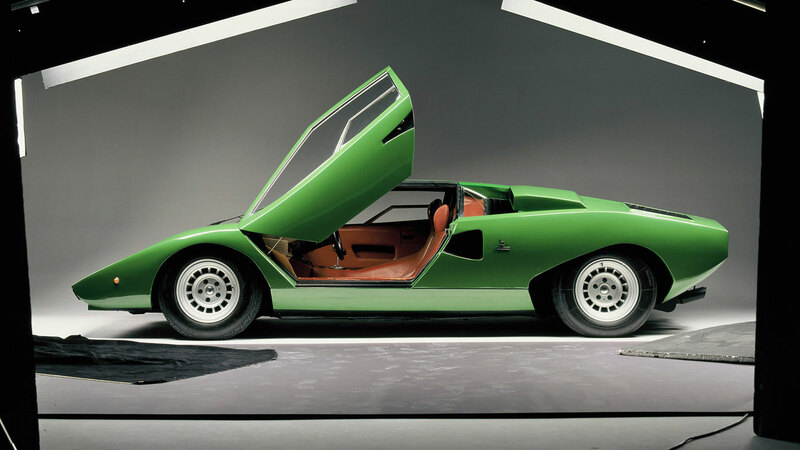 When Lamborghini unveiled the 400 TP rolling chassis at the 1965 Turin Auto Show, it was faced with a queue of potential customers armed with open wallets, and a number of coachbuilders hoping to create the body. Ferruccio Lamborghini turned to Bertone, with chassis developer Gian Paolo Dallara tasked with working with stylist Marcello Gandini. 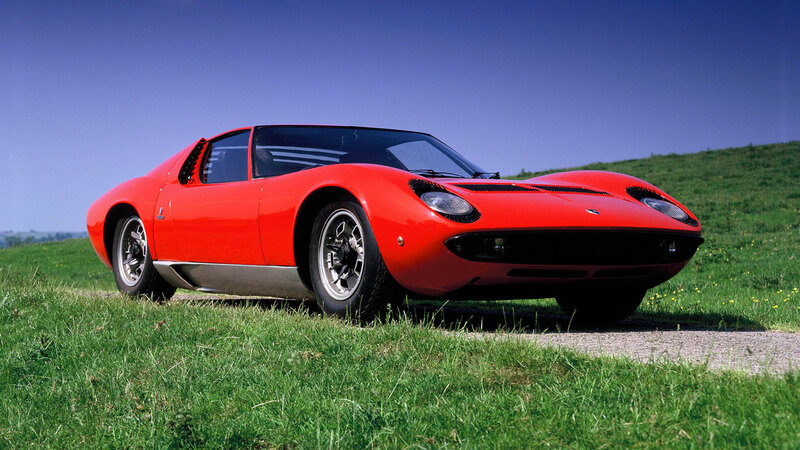 But is the Miura really Gandini’s baby? The Alfa Romeo Carabo is a classic Gandini design. Unveiled in 1968, it championed the wedge shape at a time when sports cars featured smooth and flowing bodies. 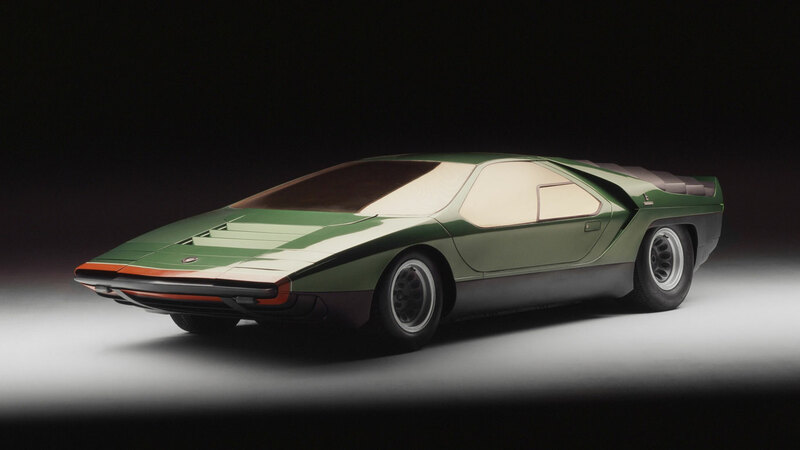 Stick the Carabo alongside a Miura, Toyota 2000GT or Jaguar E-Type and it’ll look like a car from another century, let alone the next decade. Chalk, meet cheese (wedge). The shocked onlookers in attendance at the Porte de Versailles in Paris would not have known it at the time, but the experimental concept previewed the future of car design. It’s hard to believe that it was based on the voluptuous and alluring Alfa Romeo Tipo 33. “Styling, of course, is always a personal matter, but you could call the Espada a classic of the sixties and a Bertone masterpiece not so much because of its sleek beauty but because of the extraordinary space utilisation contained within the low shape. At 104 inches its wheelbase is two inches shorter than the [Ferrari] GT/4s; it is shorter overall too, but nearly three inches wider and five inches lower. “And yet it contains quite a deal more interior room – it is a full four-seater rather than a 2+2 and as such has unique attraction among the supercars.” The words of the esteemed motoring journalist, Mel Nichols, writing in Car, May 1974. The Espada was created to satisfy Ferruccio Lamborghini’s desire to have a genuine four-seater GT car in his lineup, and the fact that it remained in production for a decade is testament to Gandini’s eye for design. 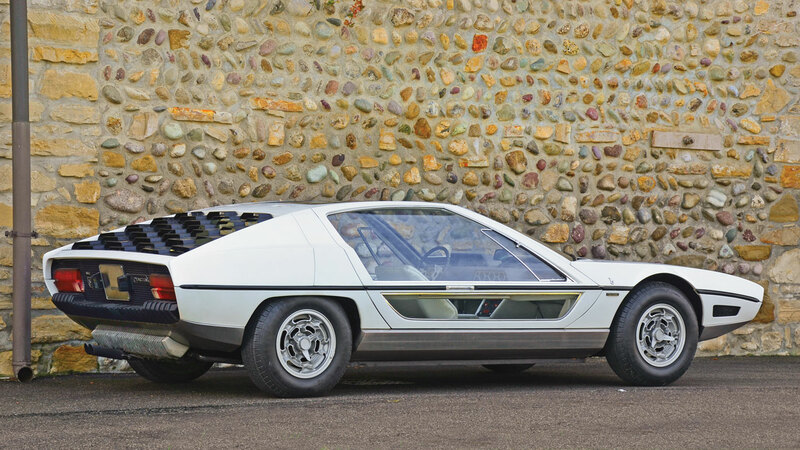 That said, the Espada went through a series of changes before bowing out in 1978. If the Autobianchi Runabout looks familiar, it’s probably because you spent your formative years kneeling down in your living room, smashing a Matchbox Speed Kings version into the skirting boards. 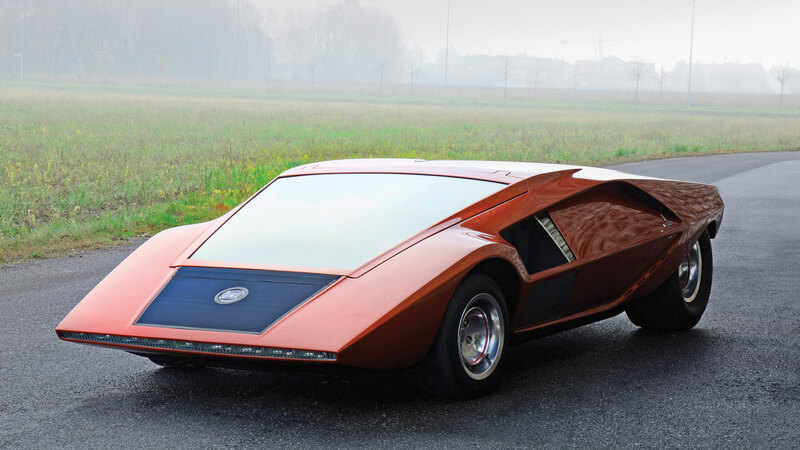 The Bertone concept was first shown at the 1969 Turin Motor Show and used the engine from a Fiat 128. The design was inspired by the racing powerboats of the 1960s, most notably the shape of the body and the windscreen, while the car is loaded with neat details, such as the headlights mounted on the rollbar. According to Bertone: “The Runabout is an invitation to fun, stress-free travelling, evoking the sheer joy of driving in places where traffic is no more than a distant memory.” Places like your parents’ living room, then? 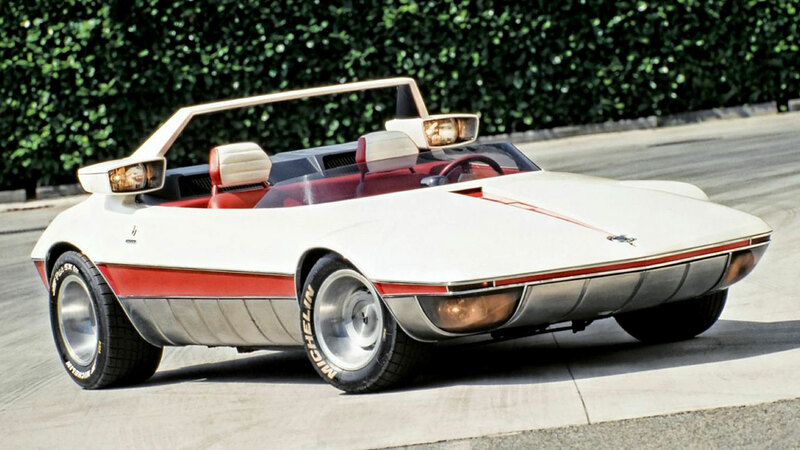 While the Runabout remained a one-off concept, it inspired one of the most successful sports cars of the 1970s. 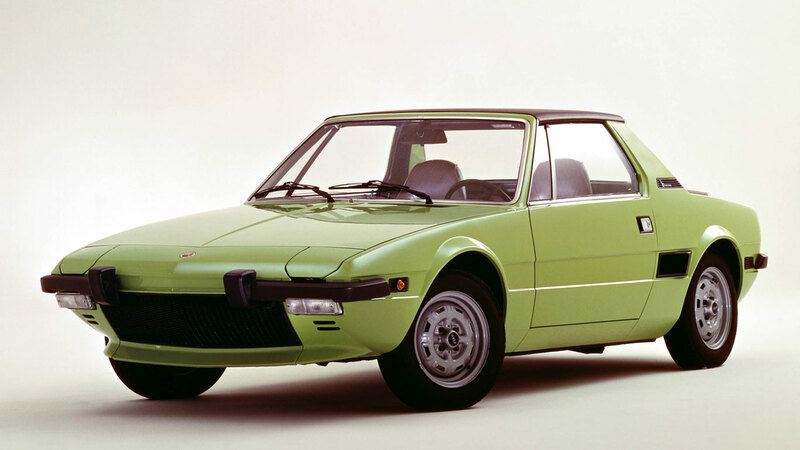 The Fiat X1/9 was the replacement for the Giugiaro-designed 850 Spider and it made its debut in November 1972. Bertone handled the production of the bodies, which were shipped to Lingotto to enable Fiat to fit the engine and running gear. 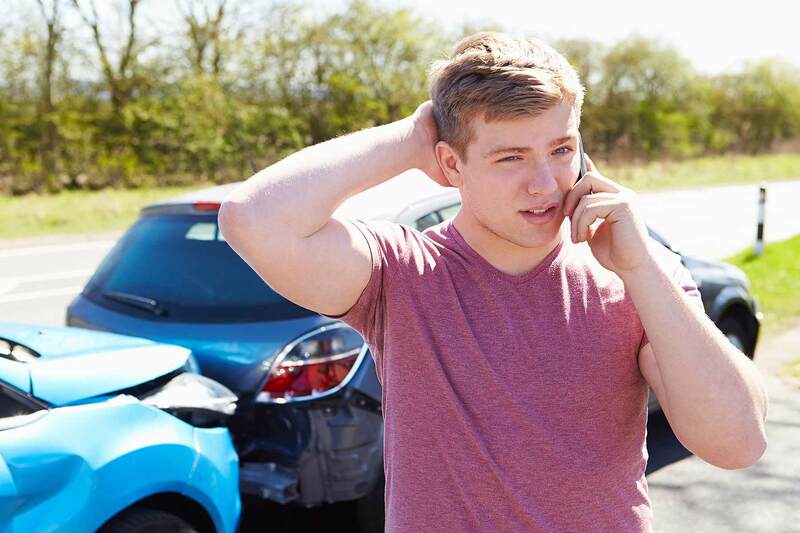 The influence of the Runabout is clear, albeit with added stiffness and safety protection to comply with American crash legislation. Fate is a wonderful thing. This extraordinarily handsome Alfa Romeo was unveiled in concept form at Expo 67, before going on show as a production car in 1970. In 1967, the World Fair was held in Montreal, presenting Alfa with an evocative name for its V8 sports car. A year earlier, it would been Munich, while a year later it would have been San Antonio. Neither name has quite the same appeal as Montreal. Location-inspired name aside, the Alfa Romeo Montreal is unquestionably one of Gandini’s finest achievements. Highlights include the slotted eyelid shutters over the headlights and the sliding shutters within the rear quarter panels. Disputes in Milan meant that the Montreal didn’t arrive on these shores until 1972, a full 12 months behind schedule, but the delay did little to dilute the appetite for Alfa’s masterpiece. In 2011, the one-off Lancia Stratos HF Zero sold for €761,600 at RM Sotheby’s Villa D’este auction. Officially, the car was labelled “Stratos HF”, but Nuccio Bertone wanted to call it “Stratolimite”, or “limit of the stratosphere”. After time, it would become known by its internal nickname of “Zero”. There’s so much for the eyes to take in, like the ultrathin row of headlights backlit by ten 55w bulbs, or the flip-up windscreen, which you’d expect to open up to reveal the Pink Panther staring back at you. At the back, you’ll find a pair of exhausts protruding out alongside the gearbox case, along with a rear light strip containing no fewer than 84 tiny bulbs. It looks and feels like a flight of fancy, and yet it influenced the design of one of the greatest sports cars of the 20th century. 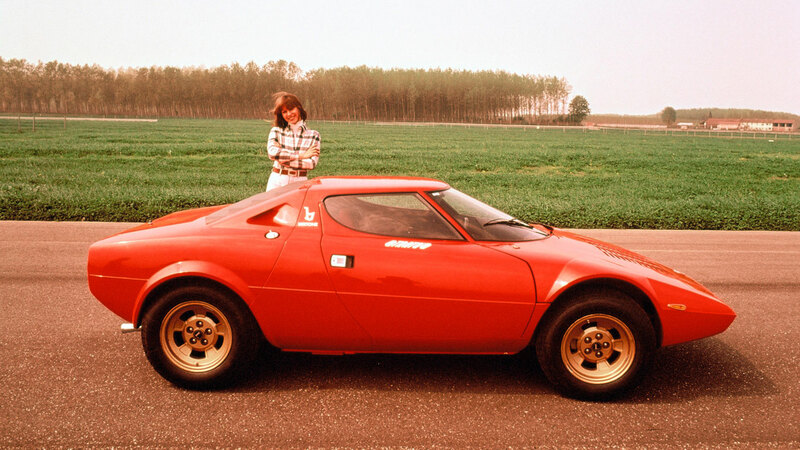 The Lancia Stratos: a star of the road and track. From the outset, the Stratos was designed to build on the competition success of the Lancia Fulvia. Gandini worked alongside Sandro Munari (rally driver) and Cesare Fiorio (team boss), to develop a car in time for the 1974 season. The result was a car with incredibly small dimensions, allowing it to corner with unbelievable speed and poise. In his book, Marcello Gandini: Maestro of Design, Gautam Sen suggests that Gandini looked at the wheelbase of the car’s two closest competitors as the starting point: the Alpine A110 and Porsche 911. Once again, the Autobianchi Runabout is evident in the design, but the Stratos stands alone as a true great. Successful on the track and superbly packaged, yet its beauty appears to lie in its simplicity. A candidate for Gandini’s finest hour? Given that he worked on the body, chassis and the packaging, we think so. 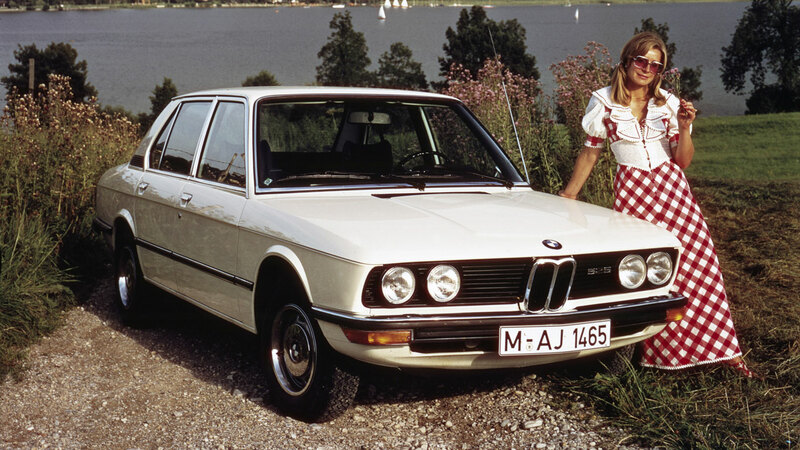 The BMW 5 Series was the replacement for the long-running New Class (or Neue Klasse) of saloons dating back to the Michelotti-designed 1500 of 1961. Gandini’s 5 Series – internal code E12 – was a monumental leap forward, both in terms of how it looked and how it behaved on the road. Bertone had worked with BMW since 1960 and first presented proposals for the new saloon in the late 60s. This was the all-new medium-size BMW for more than a decade and its launch coincided with Munich hosting the Olympic Games. 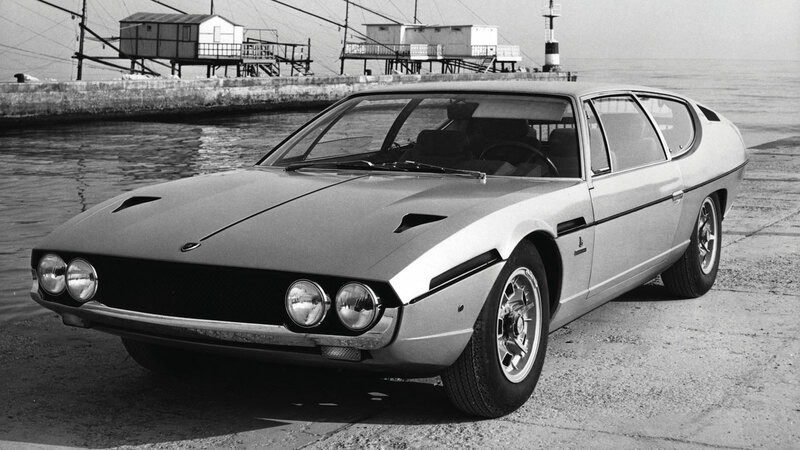 Lamborghini’s brief to Bertone and Gandini was simple: to design a cost-effective four-seater GT to cope with the oil crisis of the 1970s. The result was the Urraco, powered by a 2.5-litre V8, which was increased in size to 3.0 litres in 1974. At the time, the Italian manufacturers were jockeying for position, keen to grab a slice of the junior supercar market. 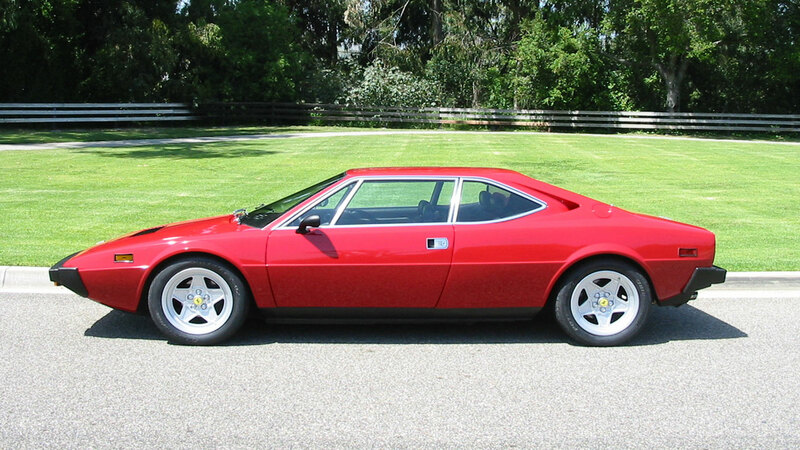 Ferrari had the Dino 308 GT4 (more on this in a moment), while Maserati had the Merak. All offered engines with less than 3.0 litres, but were of a similar size to their more powerful siblings. Of the three, the Urraco is the least conservative from a styling perspective, but is certainly less wild than Gandini’s other creations. How do you follow a car like the 246 GT? The answer, if your name is Marcello Gandini, is the Dino 308 GT4, which found itself up against one of his other creations: the Lamborghini Urraco. Things were different in the 70s, lad. But to our eyes at least, the 308 GT4 has aged better than donkey jackets, flares and hostess trolleys. “Once again, designer Marcello Gandini managed to draw a fascinating, unconventional car that left everyone speechless,” says Lamborghini. We’re not going to wade into the debate over Gandini’s role in the design of the Miura – we don’t fancy a discussion with his lawyers – but there’s little doubt that the Countach is more Gandini than its predecessor. Gandini said that he wanted people to be astonished when they first laid eyes on the car. 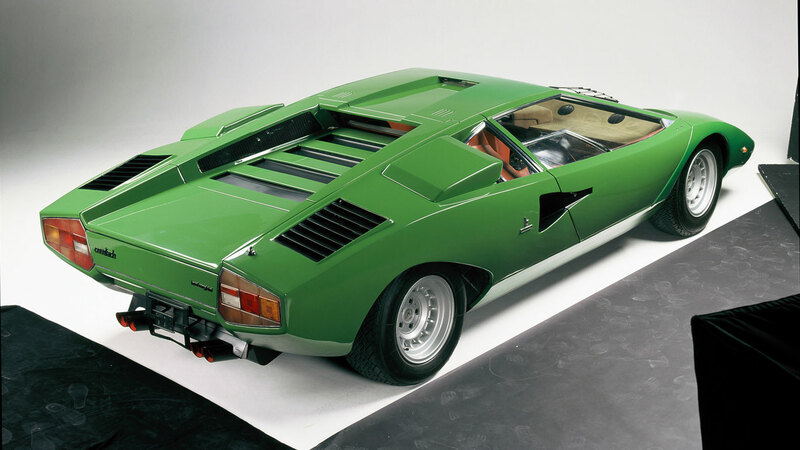 Little wonder, then, that Lamborghini chose the Countach name, which is a Piedmontese expletive for “wow”. The Countach is everything a supercar should be: otherworldly, impractical, inaccessible and prime bedroom-wall poster material. 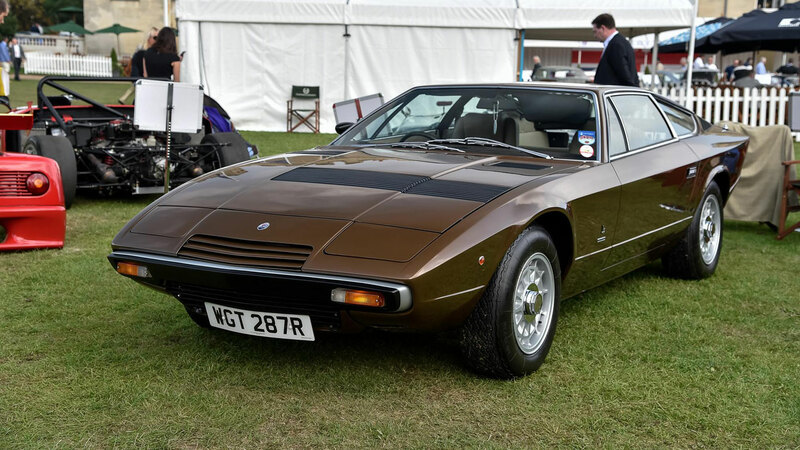 Unveiled at the 1972 Turin Motor Show, the Maserati Khamsin was a radical departure from the Indy, which was first shown in 1969. It would be another two years before the Khamsin made production, but it was still available in 1982. Its beautiful lines are matched by a surprising level of practicality, which extends to the spare wheel, which is located underneath the front grille. Other nods to common sense include the safety glass housing the rear light clusters, and the rubber inserts within the bumpers. We have to credit Marc Deschamps for the overall design of the Renault 5 Turbo, but the back end was the work of Marcello Gandini. 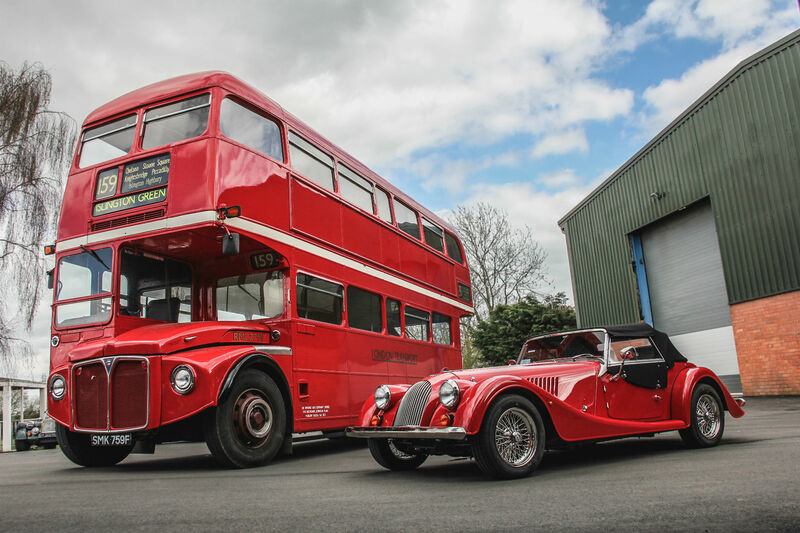 This low-mileage example sold at an RM Sotheby’s auction in 2017 for €89,600. 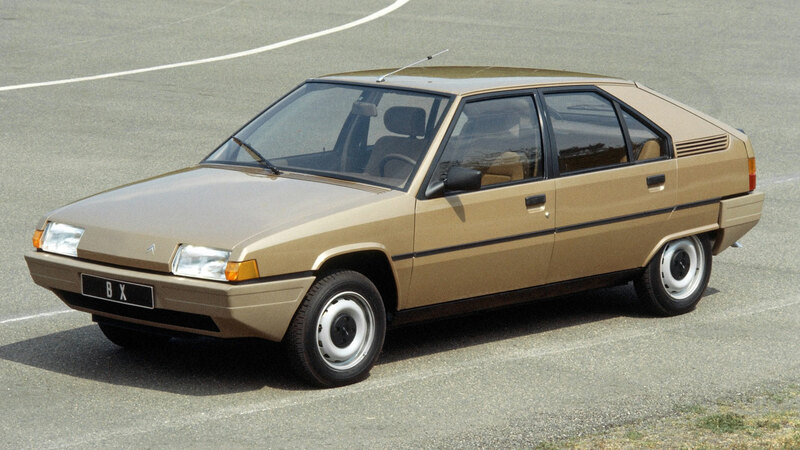 The Citroen BX has its roots in the Gandini-designed Volvo Tundra concept of 1979. It shared its platform with the Volvo 343 and featured pop-up headlights, a digital dashboard and a Renault-sourced 1.4-litre engine. Sadly, Volvo canned the project and the Tundra never made it to production. But the Tundra lived to fight another day, as Citroen asked Gandini to use elements from the concept in the design of the BX. The great man even appeared in a television advert for the BX, in which he walks past a Countach as the narrator asks: “What does the Lamborghini designer drive to Lamborghini?” The answer, of course, was a Citroen BX. 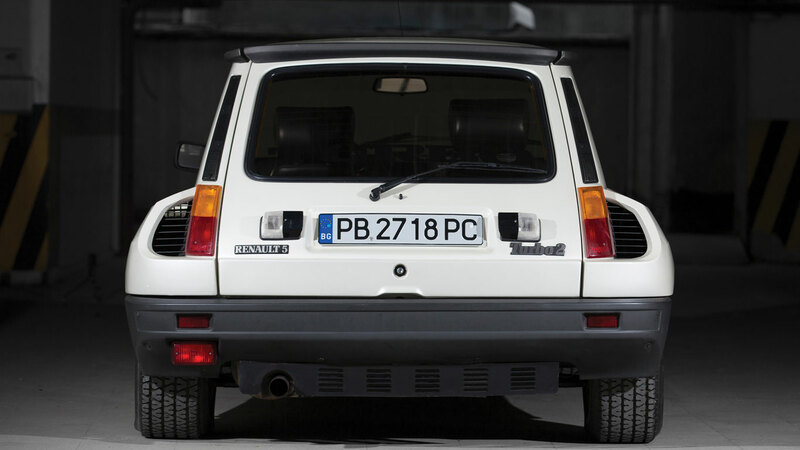 Renault left it very late before launching the second-generation Renault 5, or Supercinq. 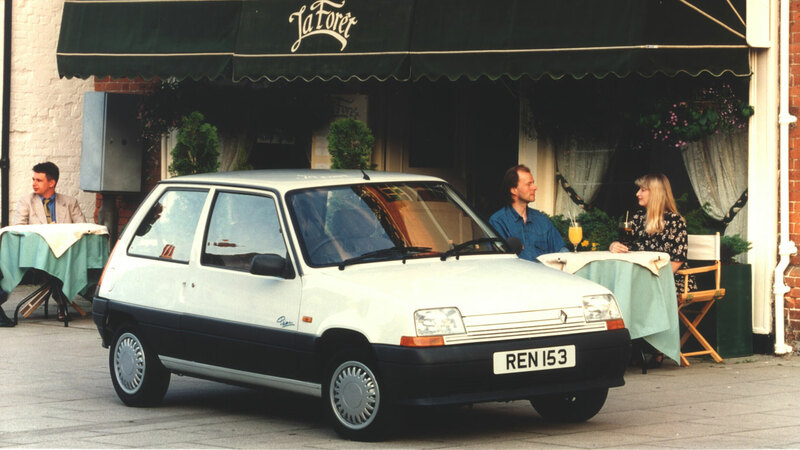 The hugely successful R5 had enjoyed 12 years of continuous production before Renault unveiled the Supercinq in 1984, by which time it was jostling for position with a plethora of chic superminis. Marcello Gandini succeeded in staying true to the original’s cheeky charm, while giving the new car a more 80s vibe. Underneath, the Renault 5 was entirely new, but the fresh design enabled the Supercinq to live on until the the middle of the 1990s. 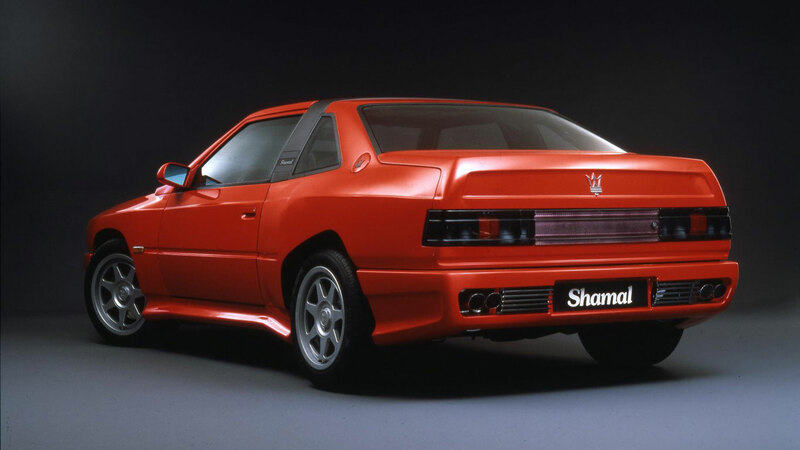 The Maserati Shamal was a comprehensive overhaul of the Biturbo and the final car to be launched in the 80s. 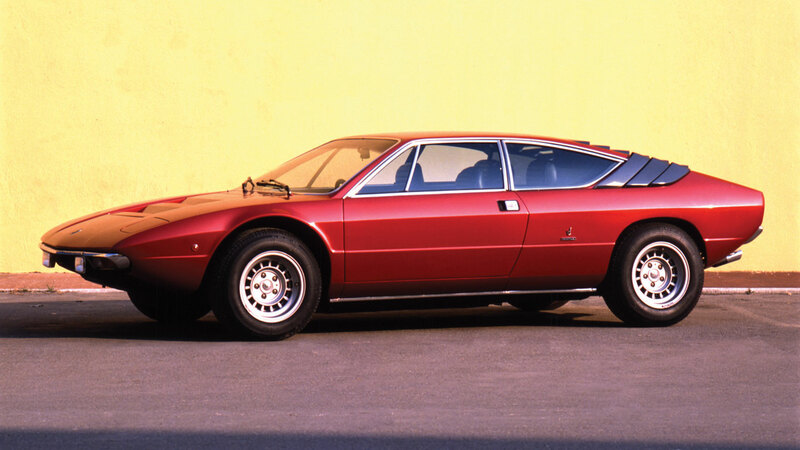 The styling was classic Gandini, complete with a pair of Countach-inspired rear wheelarches. The interior was similarly exotic, but Maserati managed to shift just 369 examples of this 326hp supercar-tamer. That’s 369 people who know a good pair of arches when they see them. With the success of the Countach, it was pretty obvious that Marcello Gandini would be contacted to work on its replacement. Lamborghini started working on the Diablo project in 1985, but it would be five years before it made its first public appearance. 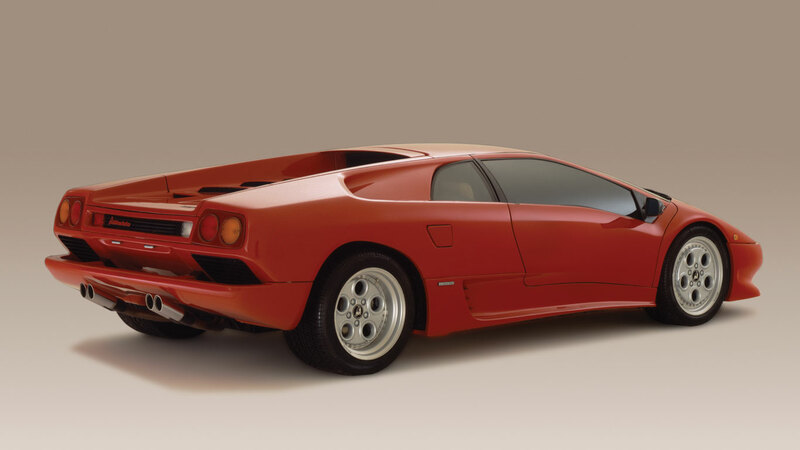 The lineage was clear to see, although the Diablo was smoother and more rounded than the Countach, an approach far more in keeping with the trends of the time. Interestingly, although Gandini penned the original design, certain elements were changed following Chrysler’s takeover of Lamborghini in 1987. Marcello Gandini’s vision for the Lamborghini Diablo lived on in the Cizeta V16T: the supercar penned by the Italian before Chrysler waded in with its soft-focus lens and smoothing iron. 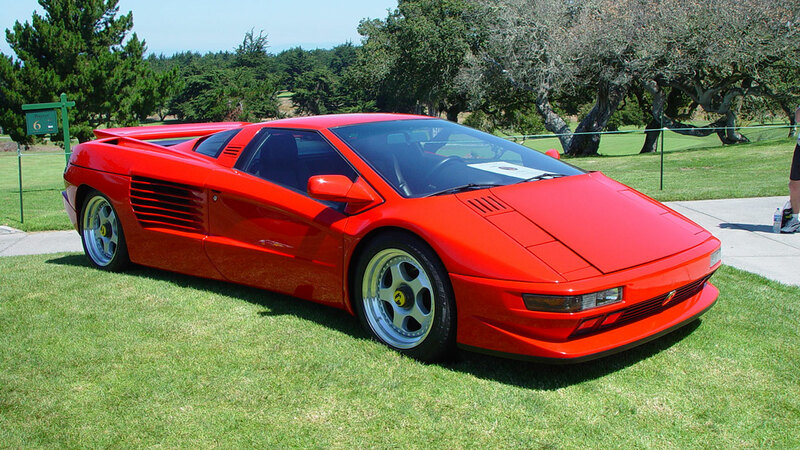 It’s dramatic, OTT, and has more in common with the Countach than the Diablo. The 6.0-litre V12 supercar was built in Modena by a team of ex-Lamborghini employees, headed up by Claudio Zampolli, Giorgio Moroder and Marcello Gandini. The company had plans to build 100 cars per year, but when Moroder walked away from the project, taking his money with him, the project was doomed to failure. As a result, only nine Cizetas were built. 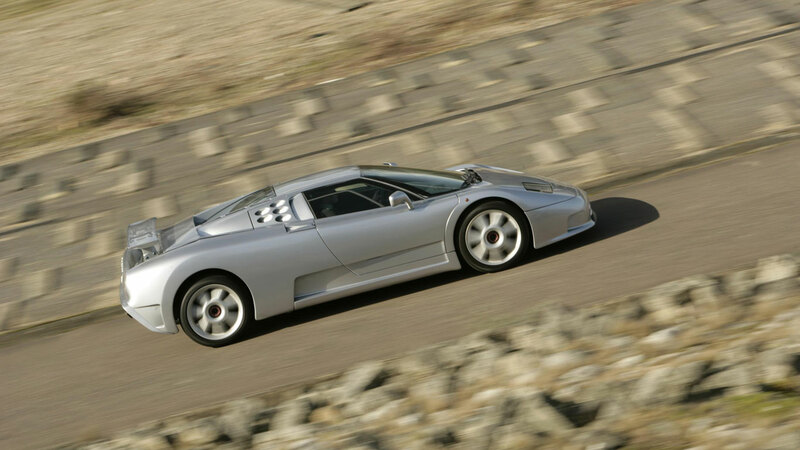 In 1991, exactly 110 years after the birth of Ettore Bugatti, the company launched the EB110. The supercar featured a quad-turbocharged V12 engine, permanent four-wheel drive and the world’s first carbon fibre chassis. 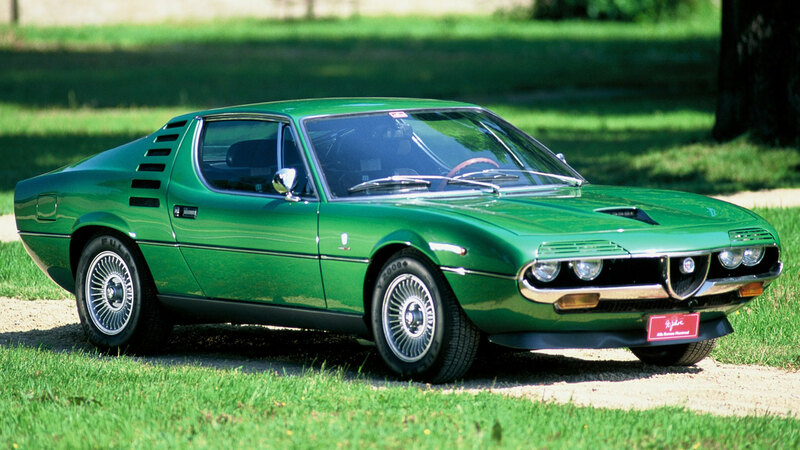 The body, as you might have guessed, was designed by Gandini. According to The Economic Times, the great man lives in a 17th century villa, located in the foothills of the mountains near Turin. In an interview with Car & Driver, Gandini was asked if he would have done anything differently. “As with most people, many,” was his response. We doubt that would include the Lancia Stratos and the Countach’s rear wheelarch.